This is a question that isn't all too relevant to us now, but had a Magento SE site existed 5 years ago, it probably would have been our first question. For those just getting into Magento, or unfamiliar with it - knowing the fundamentals of debugging can be key to rule out the cause of issues. And despite its irrelevance to us now we're pre-empting this question appearing with a self-answered approach. Is my design at fault? Is a 3rd party module at fault? Why can't I see the error? Each of these questions can readily be answered by following a standardized approach to debugging that even the most basic of users can complete. By means of a process of elimination of the fundamentals of debugging a Magento store. Debugging is a bit of an art, but something that can easily be mastered by following a simple regimen. Follow each point until you finally reach a solution. This is key to most issues. For security or other reasons, PHP error display could likely be disabled by default by your PHP configuration. You can enable errors with a more permanent solution, or merely something more temporary. In your document root's .htaccess file - just drop this at the top. When you've had an error and suddenly hit the "Error Report" page, and been given a seemingly useless error string like 1184257287824 - you've got a few options. In your document root .htaccess file - just drop this at the top. Edit the Magento bootstrap index.php in your document root and either make the if statement always true, or enabled for your specific IP. Incorrect permissions will cause a wealth of problems, a lot of which are not that easy to find at first glance. Otherwise, the site can appear to be functioning as normal - with no critical errors actually visible. Please bear in mind, this practice is secure for dedicated hosting but may present security issues with shared hosting if the Apache process isn’t chroot’ed per user. Start by enabling ACL support on the active partition, please ensure your Kernel was compiled with ACL support. Your partition may be /, /home, /var or something else, replace as appropriate. If your Kernel doesn’t support ACLs you can also use umask (which is a run time setting for BASH, FTP and PHP) to set the default file permissions. Magento usually sets umask(0) in index.php, however, it would be in your interests to change this. For your FTP server, you’ll need to read the documentation for it, but the principle is the same. Its possible that either your theme or package is responsible for this issue. Reverting back to a vanilla Magento theme is a quick way to find out. Rather than change anything via the admin panel, it is much simpler to merely rename the offending directories. Then you need to dig a bit deeper as to what part of the template is problematic. So restore your package and attempt the following, testing between each. Essentially, the process is to gradually enable directories as you traverse down the file tree - until you can find the offending file. Then gradually enable each file 1 by 1 until resolved. There is potential that your base/default or enterprise/default directories have become contaminated - and are best replaced with a known clean version. You can also take the opportunity to diff the two directories if you want to verify any changes. NB. This method will cause more errors during the process, as module dependency dictates the existence of specific files. Unfortunately, its par for the course. If a file is in Local - load it and do no more. If a file is in community - load it and do no more. If a file can't be found anywhere else - load it from the core. 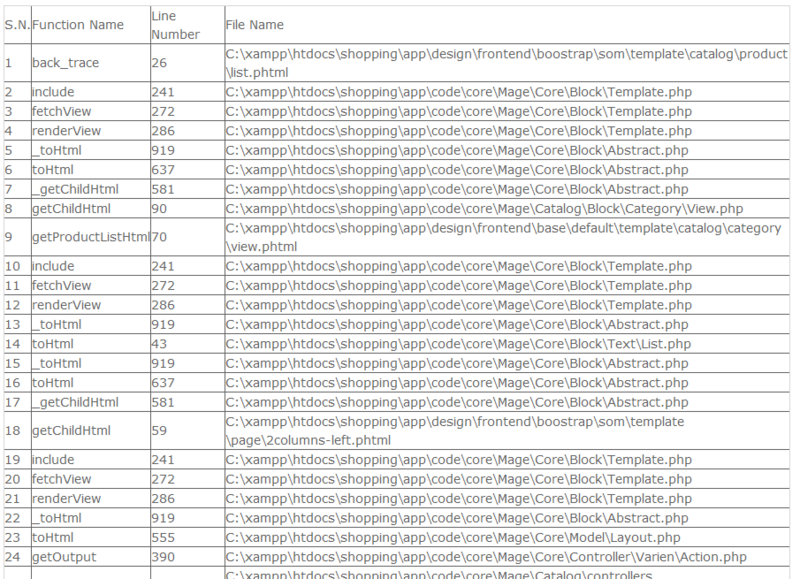 Again, rather than disable modules via the Magento admin panel, it is more practical to do this at a file level. Typically, to disable a module the "proper" way, you would edit the respective ./app/etc/modules/MyModule.xml file and set <active>false</active> - however, this doesn't actually prevent a class from loading. If another class extends a given class in a module (ignoring any Magento dependency declarations), it will still be loaded - regardless of whether the extension is disabled or not. So again, the best means to disable an extension is to rename the directory. Then it is a case of understanding which module in particular the error stemmed from. As with the example given above for the package diagnosis, the same process applies. So restore the X directory and attempt the following, testing between each. At this point, your Magento store will be nothing more than a vanilla installation with a modified database. Some models are actually still stored in the database (Eg. order increment) - so at this point, it becomes a case of manually making those edits. So far, all the steps above have been reversible with no lasting damage. But if we were in import a clean Magento database too - it could prove irreversible (short of restoring a backup). The guide above serves to get you on your way to identifying an error; not to fixing the resultant error. As requested on Twitter and discussed on Meta I'll start here a debugging tutorial for non-devs. First I think (even thou magento tries to engage this) Magento is too complex for a merchant without developer/development team. But if you are brave and want to try it, we are giving our best here to help you. I think for some questions is the border between "how can I do this?" and "please make my work, I'm too stupid to google this" is a quite fine line. I understand that it is often hard, to google thinks because you don't know what you are googling for, because you don't know the naming yet. This said, let's collect things everyone with a magento store can do, even thou (s)he is no developers. A very good answer how to debug magento, when you want to get dirty was already given by Sonassi, but I try to add things and copy what I think is applicable for merchants. Disclaimer :All directories and files mentioned in this post are relative to the magento root folder, which might be in /var/www but depending on the hosting provider, your so called Document Root can be everywhere, ask your provider, if you don't find your magento! 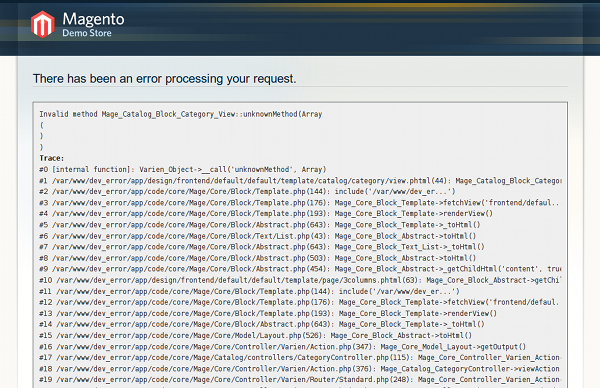 You want to have real errors, not that crappy "an error occurred" page which magento delivers normally. Thanks to fontis.com for this image. When you activate development mode, magento raises real error, these errors can especially leak credentials, like the ones for the database! So, think before you turn it on on production servers! To active now the mode, you have to change these lines. If you don't know your ip for whatever reasons, you can show errors for everyone. Is it a theme problem? 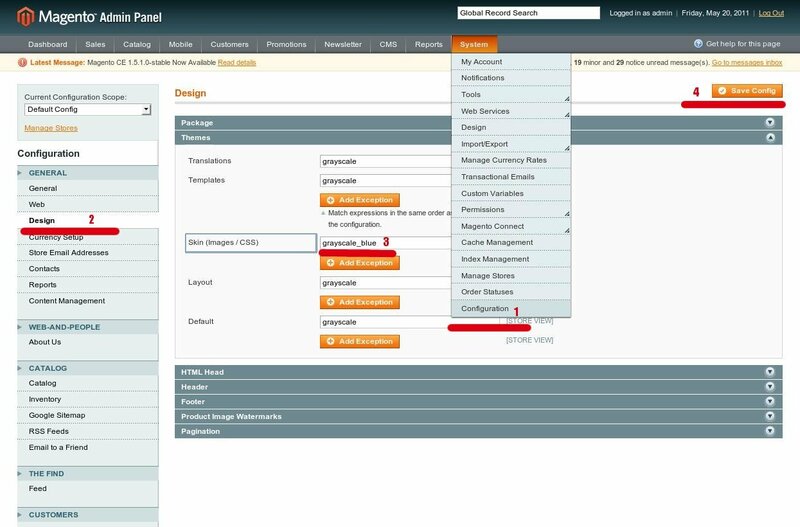 If you can not reproduce the problem in the default theme, your theme is broken, please contact the theme vendor. We don't give support for third party themes, especially the commercial ones. You found a real error, one can reproduce, it is reproducible in the default theme? Great, please open a question, and we are giving our best to help. is anything in the log files? For using above steps you should get errors definitely. This is the good function to debug the function call in magento. Add this function in includes/config.php or create new file and put your all common used php functions. Not the answer you're looking for? Browse other questions tagged extensions core debug theme or ask your own question. Magento 1.9.0 Magento Connect Manager displays 500 Internal Server Error? Language Converter for different store?